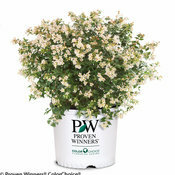 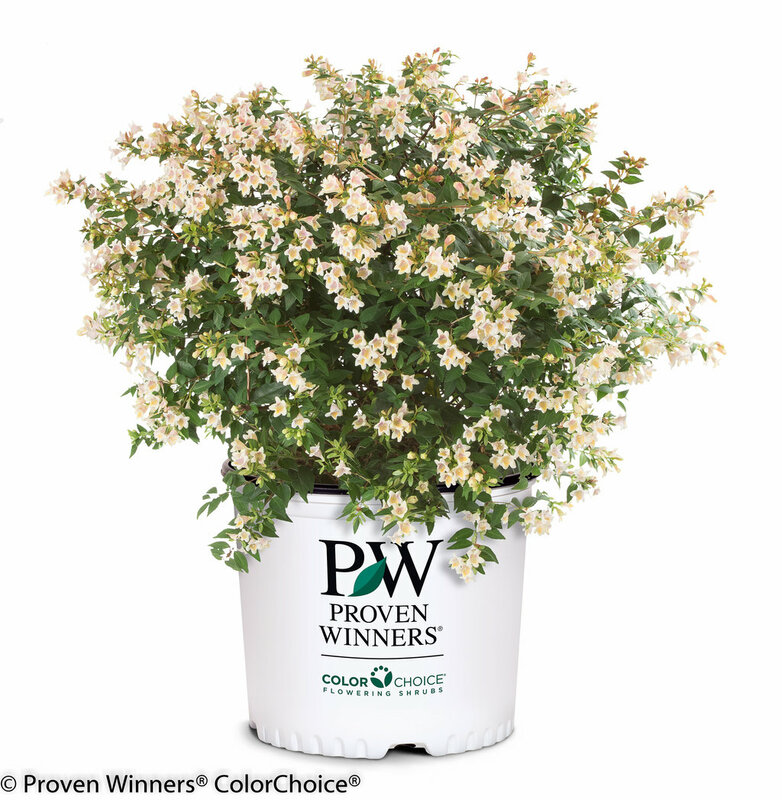 Brighten up your landscape with the cheery yellow blooms of Sunny Anniversary® abelia! 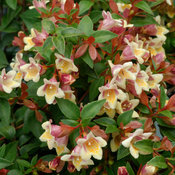 This tough landscape plant is smothered with yellow and pink flowers all summer long, right into autumn. 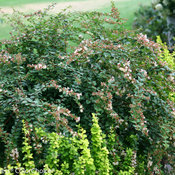 Leathery leaves stick around through the winter for extra interest. 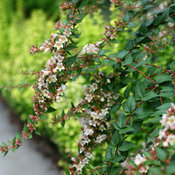 Its fountain-like habit gives it a soft, elegant presence in foundation plantings and flower beds. Like all abelias, rabbits and deer leave this beauty alone. 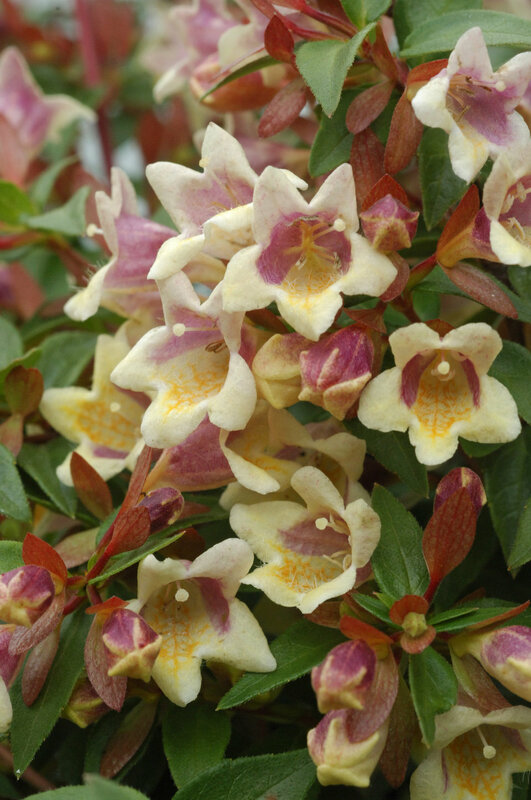 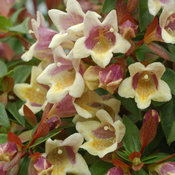 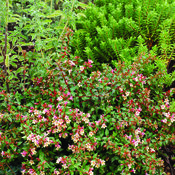 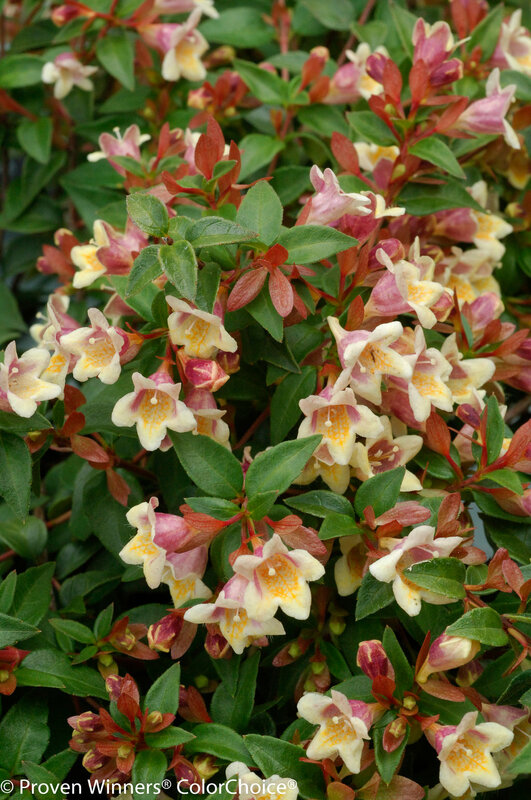 Abelia are easy-care plants that don't require regular pruning, though they can be trimmed to shape in early spring. 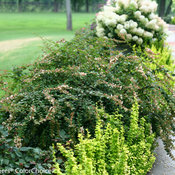 Early spring is also a good time to cut out any dead wood to maintain a neat, open shape. 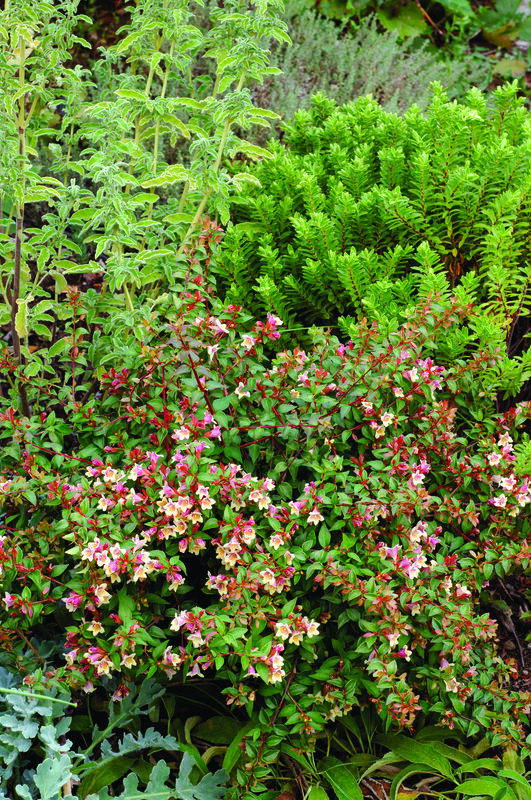 Abelias benefit from a good layer of shredded bark mulch and may be fertilized in spring if you want to encourage more rapid growth. 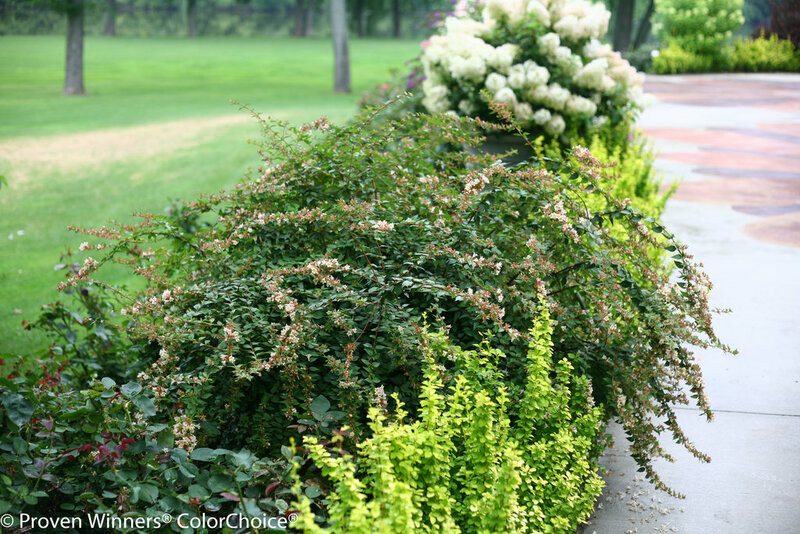 Use a granular fertilizer formulated for woody plants, like a rose fertilizer. 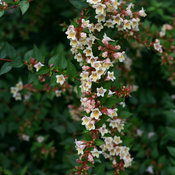 Tough little shrub. 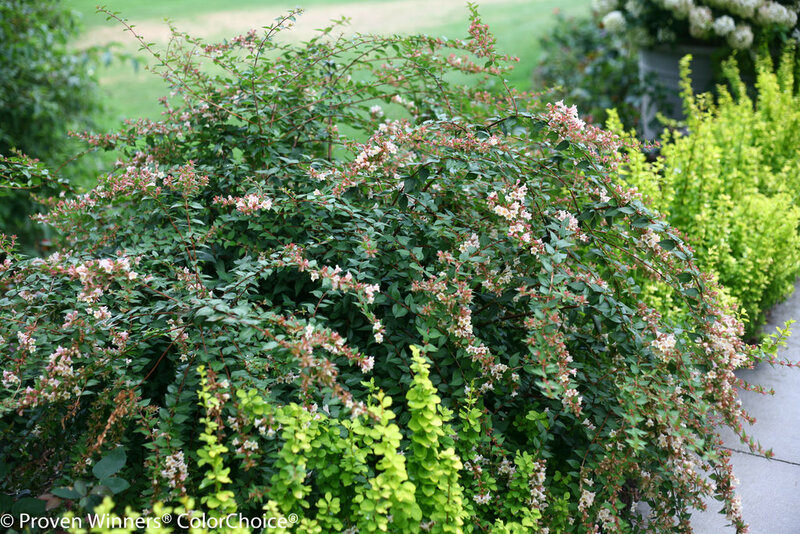 I was disappointed after the first year (zone 6a, sunny semi-arid climate) and thought I would get around to replacing it. 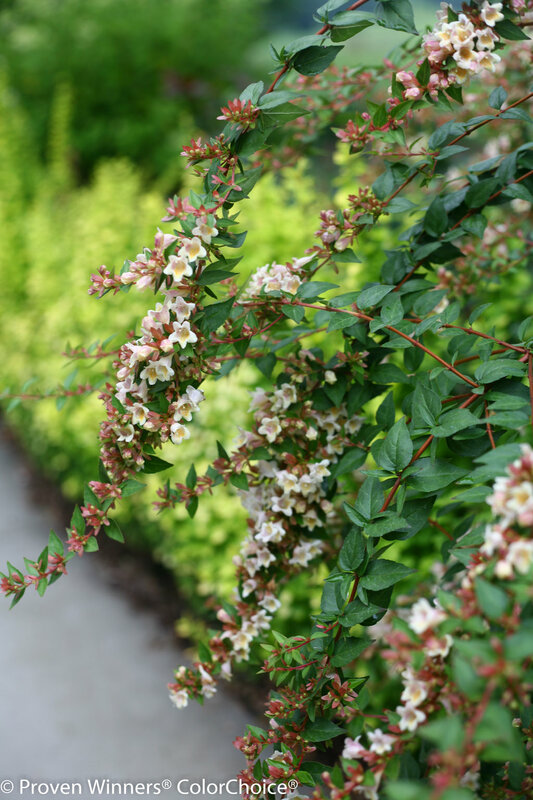 But it re-leafed out and grew a little on its own, so I started watering it a little again, and eventually got some nice flowers to go with the handsome foliage. 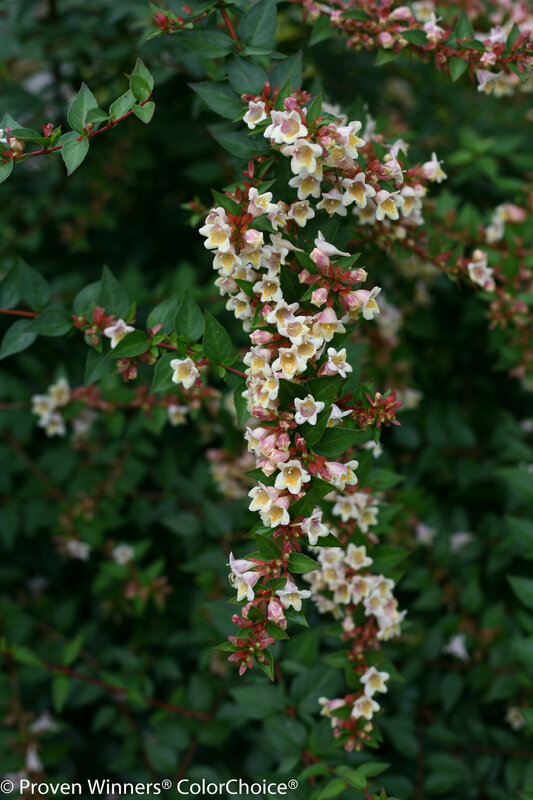 Not especially attractive in winter here, but still quite good overall.